Looking for a rewarding, diversely educational, and exciting way to spend your summer? Look no further! 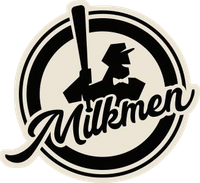 The Milwaukee Milkmen Baseball Team, a subsidiary of ROC Ventures, is currently seeking students in need of internship opportunities for their inaugural season at Routine Field in Franklin, WI. This internship promises to offer a little bit of everything for the student who is serious about pursuing a career in sports. From customer service and facility operations to on-field entertainment and community appearances, each day will bring about its own set of new experiences and challenges. Be a part of something special from the ground up with the Milwaukee Milkmen – pro baseball that is udderly different! Clubhouse duties to include locker room set-up, team meal preparations, laundry needs for both home and away teams, cleaning/vacuuming/tidying of each clubhouse, player and coaches needs as they arise, and equipment inventory. Assist in the presentation of pre- and post-game team meals for both teams to include setting up, maintaining, and cleaning up afterwards; respond to player and coaches needs as they arise. Field maintenance to include sweeping the turf, painting the pitching rubber, weeding, checking for trash, ensuring banners are secure, making sure fencing and padding is in good working order. Maintenance and upkeep of both dugouts and bullpens to include sweeping, power washing, weeding, and removal of trash. Batting practice set-up and tear down. Oversee the set-up and execution of the game day parking plan for each Milkmen home game and other non-game day events, as needed, to include setting up barricades, a-frames, and cones; give direction to fans entering and exiting the parking lots; work with the on-site Franklin Police Officers to ensure smooth traffic flow. Venue cleaning before and after the game to include cleaning the seating area, emptying trash and recycling cans, power washing, sweeping, wiping seats, dusting ledges, using a leaf blower, cleaning and stocking restrooms, and other needs as they arise. Pre-season stadium set-up to include hanging banners, assembling and arranging furniture, cleaning and stocking restrooms, general stadium cleaning, clubhouse preparations, Press Box components in place, and other duties as needed. Take part in the execution of all pre-game, between inning, and post-game promotions to include assisting with props, getting contestants on and off the field, helping with player participation, hyping up the crowd; assisting the other departments with activation of these promotions. Seek out fans to participate in ballpark activities throughout the game. Upon signing individuals up, pass along instruction as to where they should go and when, have them sign a participation waiver. Distribute giveaways to fans on promotional nights at the front entry gates. Ensure giveaways are in place and ready to go for gates open. Meet the National Anthem singer(s) upon arrival and provide instruction as to where they should be and at what time prior to the game; ensure they have a functioning microphone and accompany them on and off the field. Meet and assist with color guards, first pitch participants, and any other pre-game ceremonies. Welcome and attend to families celebrating their birthdays at the game. Provide goodie bags, treats, and accompany the party to any other experiences included with their outing. Manage the ticketing area at the stadium each night to include oversight of the staff and ensuring proper training and use of the scanners, responsible for the appearance of the entry area, have turnstiles in place, greeting fans as they enter and exit, help with any customer needs, scan tickets as needed, charge scanners at the end of the night. Work at the Will Call position in the stadium box office assisting patrons as they arrive to pick up their tickets for the game. Troubleshooting any issues as they arise with the customer’s tickets. Manage the Fan Relations Booth at the stadium on game nights to include assisting fans with any questions they may have, handling redemption vouchers, directing fans throughout the stadium, radioing other departments with any needs that may arise, providing instruction for patrons reporting to the booth with emergency situations (First Aid, missing children, etc. ), checking in the EMT’s for the game. Manage the ushering crew at the stadium each night to include oversight of the ushers, giving directions to any new ushers prior to gates opening, assigning positions to each usher, helping patrons to their seats, providing direction to patrons around the stadium, ensuring any fan struck by a ball is OK and filling out the necessary paperwork if there was an injury, radioing other departments if needed. ROC Ventures interns will support specific departments throughout the Milkmen’s inaugural season as well as assist at the other venues at Ballpark Commons and The Rock Sports Complex, as needed. The position will include both office and event day duties. The ideal candidate is a strong communicator with the ability to work in a team environment, have an eagerness to learn, and possess the flexibility to adapt to what each day brings. Interns must be committed to working long hours including nights, weekends, and occasionally holidays. Besides game day duties, each intern will be responsible for helping prepare and maintain the ballpark prior to the start of the season as well as in season to ensure facilities are presentable at all times. Throughout the internship, you will perform duties within the following areas: Operations, Entertainment, and Fan Relations. Each rotation will last approximately 1/3 of the season and your responsibilities will vary on any given day. Interns may be expected to work on some non-game days as well as all game days to ensure they receive a well-rounded experience of the operation. As the summer progresses, interns may have the opportunity to manage non-Milkmen events taking place at the stadium on their own. Current enrollment in an accredited program at a College or University with a degree emphasis in Sport Management, Event Management, Business Management, Marketing, and/or Hospitality. Intern must display professionalism – businesslike attitude, attire, cheerful disposition, teamwork, and candor/honesty/discretion/trust/judgment. Communication skills – strong oral and written communication skills and an ability to positively interact with all patrons attending events at the stadium and other venues. Dependability – available for early morning/late evening/weekend work - commitment to working nights/weekends. Needs and wants to be part of a winning team – having an ongoing sense of urgency. High energy, enthusiastic, ego-less individual with total team player orientation and ability to motivate colleagues at every level of the organization. The internship runs from May 15th to September 6 (pending post-season play and each individual’s school schedule). All interns will receive a taxable, $100 per month of the internship (up to 4 months). All interns must receive college credit for the internship OR be directly supervised by a professor or advisor from their accredited academic degree program at a University, College or Vocational institution during the time of their internship (negotiable).